A while back I wrote a post, The Magic Of Our Ancestors Can Bring Us Success, which told of how researchers had shown that thinking about our ancestors can help us be successful with exams and other problematic life events. 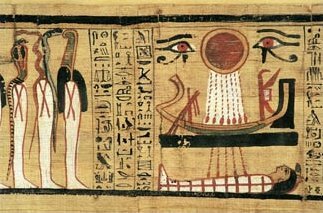 I'm not sure why this particular post came to mind, out of over 575, but it reminded me of how the Egyptians believed that the dead possessed supernatural powers. So much so that they used to write to their dead relatives. Several examples of this have been found and they are now referred to by Egyptologists as Letters to the Dead and date back to 3000-1200 BC. I was wondering if this would work for us, say we wrote a letter to a great grandfather for example? One of the Egyptian Letters to the Dead, from circa 2100 BC, was actually written on a pottery dish. The dead man was Nefersekhi and the letter was from his widow asking for his intervention in a property dispute. The widow wanted to ensure that their daughter got her fair share of the inheritance and therefore called for the dead man's intervention. The letter/dish is in the Petrie Museum of Egyptian Archaeology in London. It seems the Egyptians believed all sorts of help could be gained from the dead. An often request was for a cure for infertility. A woman's status often depended on her ability to have children. One such request is on a pot which can be seen in the Haskell Oriental Museum in Chicago. The message simply says: 'Cause now that there be born to me a healthy male child for you are an akh iker (excellent spirit)'. This was directed to a dead father by her daughter. Cures are also requested, one from 1900 BC is from a woman called Dedi and is to her deceased husband. Her wish was for her servant girl to be cured of an illness. The dead were very much alive for the ancient Egyptians and ancestors were worshipped. There was an annual festival known as the Beautiful Festival of the Valley. At this time relatives visited the tombs of their relatives. Often homes had personal shrines to their ancestors as a point of contact between the living and the dead. For these ancient people there was a link with the dead and, as the dead were supposedly nearer to the divine world, it was easier for them to use supernatural powers to assist the living. I suppose, logically, if we believe in an afterlife our deceased loved ones would help us if they possibly could. A mother or father would surely help their own child - as in life, as in death. It might be an interesting experiment to write to someone we cared for, who is now deceased - even if it was only to tell them how much we still care. They might just get our message and, who knows, we may even receive some sort of symbolic reply. I remember my own mother leaving me a poem called Death Is Nothing At All. One line said, "Why should I be out of mind because I am out of sight?" and also suggests, "Speak to me, in the the easy way you always used." Our loved ones are still with us and, perhaps, should be part of our lives. 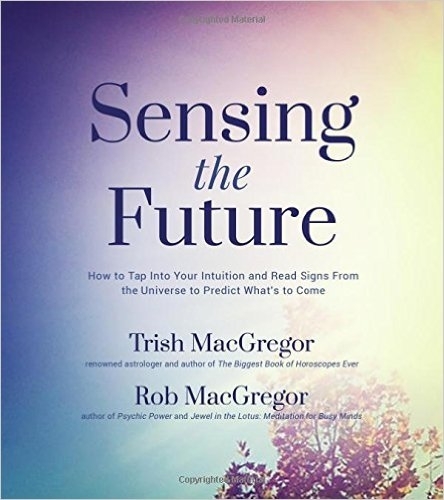 For those interested in meaningful connections with the afterlife my blogging friends Trish and Rob MacGregor have an excellent book called Synchronicity and the Other Side: Your Guide to Meaningful Connections with the Afterlife. The link will take you to the book on Amazon USA. UK readers please click here for Amazon UK. Great and informative post. I'm going to try what you suggest, then see if there's a confirmation of some kind through a synchro. I'll let you know. Thank you for mentioning the book!